The book stamp of Sir Thomas Phillipps appears on the front flyleaf. An inscription on folio 1 begins "Ex bibliotheca" and ends "-iensum," but the remainder has been cancelled. This manuscript begins with a text by the astronomer Alchandreus, a somewhat mysterious figure who was active sometime before the 900s. He wrote on such topics as the movement of the planets, the signs of the zodiac, and the art of predicting the future. Alchandreus consulted Arabic sources for his writings, and also cited Alexander the Great as an authority on various subjects. The second part of this manuscript contains Boethius's (480-525) texts on mathematics and music, of which few manuscript copies survive. All the texts appear in Latin, the scholastic language of the Middle Ages (the title in Latin is Liber Alchandrei philosophi). Three miniatures painted by the Virgil Master appear in this manuscript, along with numerous charts and diagrams that illustrate points in the text. 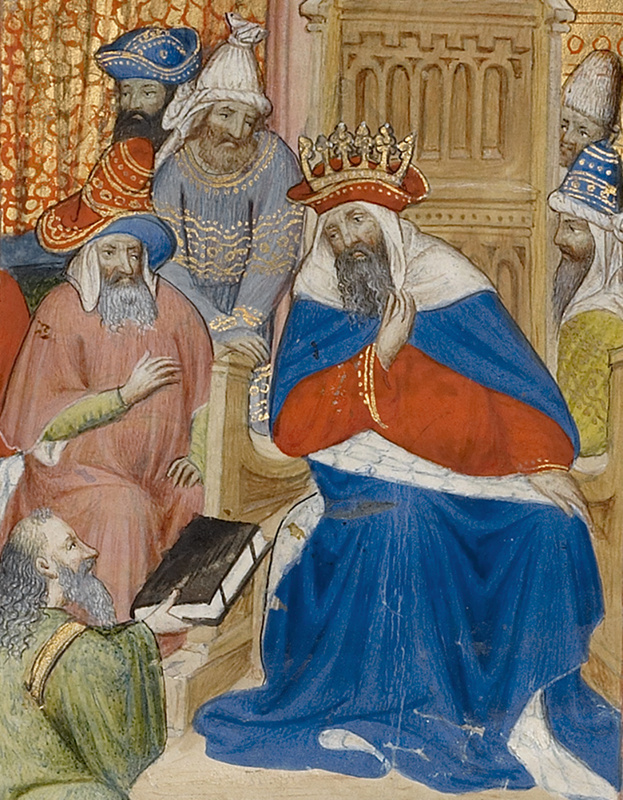 Although members of the European courts often commissioned scientific treatises, high-quality illuminated copies like this example are rare. Like other International style artists, the Virgil Master incorporated many elements of courtly life into his miniatures, such as elaborate costume and structures modeled after castle architecture. 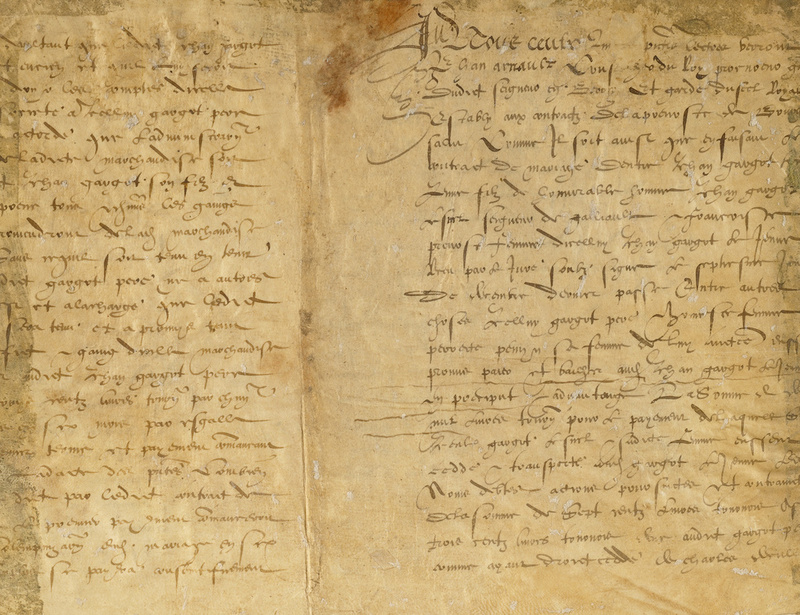 The artist worked at the court of Jean, duc de Berry, and this manuscript was most likely commissioned by one of the duke's high-ranking officials. Count Antoine Seilern, 1901 - 1978, By inheritance to his heirs. Phillipps, Sir Thomas. Catalogus librorum manuscriptorum in Bibliotheca D. Thomæ Phillipps, Bart., A.D. 1837 (Middle Hill, Worcestershire: Impressus Typis Medio-Montanis, 1837-1871), p. 15, no. 1351. Durrieu, Paul. "Les manuscrits à peintures de la bibliothèque de sir Thomas Phillipps à Cheltenham." Bibliothèque de l'école des chartes 50 (1889), pp. 394, 424, no. xxviii. Sotheby's, London. Bibliotheca Phillippica: catalogue of a further portion of the renowned library formed by the late Sir Thomas Phillipps. July 1, 1946, p. 11, lot 11, pl. xvi, xvii. Meiss, Millard. French Painting in the Time of Jean de Berry: The Late Fourteenth Century and the Patronage of the Duke. 2 vols. (New York: Phaidon Publishers Inc., 1967), vol. 1, p. 360. Meiss, Millard. French Painting in the Time of Jean de Berry: The Limbourgs and Their Contemporaries. 2 vols. (London: George Braziller, Inc., 1974), vol. 1, p. 410. 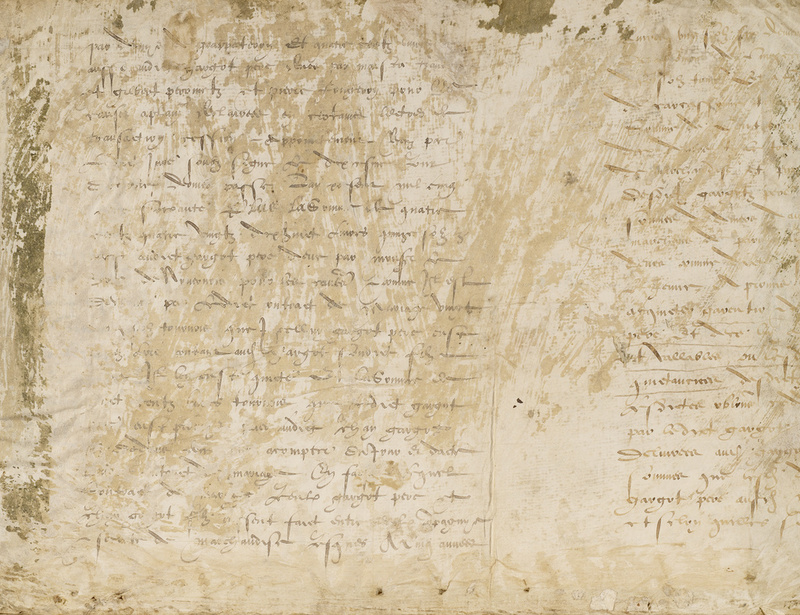 Korteweg, Anne S. Praal, Ernst & Emotie: De wereld van het Franse middeleeuwse handschrift, exh. cat. (The Hague: Museum Meermanno-Westreenianum; Zwolle: Waanders Uitgevers, 2002), p. 205, no. 26, fig. 46. Christie's, London. Important Medieval Manuscripts, Early Printed Books and Atlases from the Library of the late Count Oswald Seilern. March 26, 2003, pp. 28-34, lot 8, ill.
Kren, Thomas. 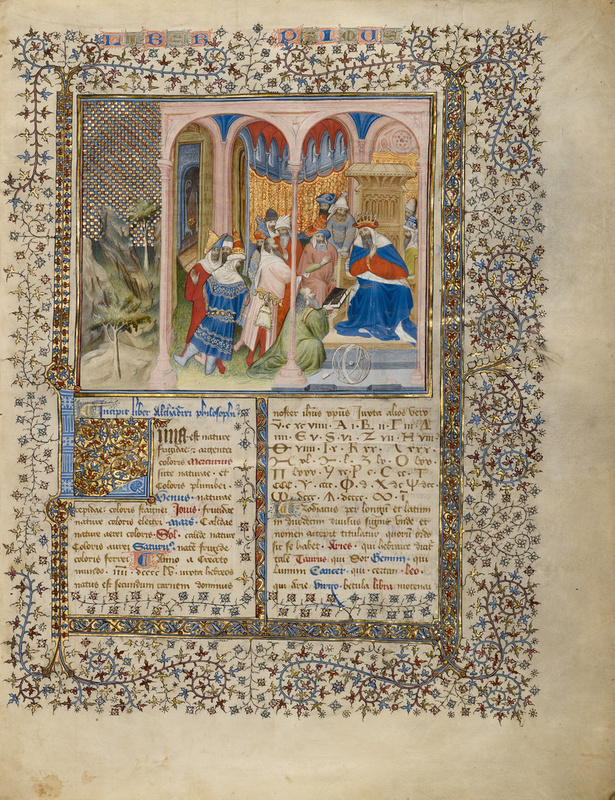 French Illuminated Manuscripts in the J. Paul Getty Museum (Los Angeles: J. Paul Getty Museum, 2007), pp. xix, 53-55, ill.
Juste, David. Les Alchandreana primitifs: Étude sur les plus anciens traités astrologiques latins d'origine arabe (Xe siècle). Brill's Texts and Sources in Intellectual History 2 (Leiden: Brill, 2007), pp. 32, 251n166, 337-338, 393, 402, 408, 412, 425, no. 28, cover ill.
Inglis, Erik. Faces of Power & Piety (Los Angeles: J. Paul Getty Museum; London: The British Library, 2008), pp. 46-47, figs. 42-43. Scott, Margaret. Fashion in the Middle Ages (Los Angeles: J. Paul Getty Museum, 2011), p. 106, fig. 80. König, Eberhard. "La question des emprunts aux Belles Heures." In Les Belles Heures du duc de Berry, exh. cat. Hélène Grollemund and Pascal Torres, eds. (Paris: Musée du Louvre, with Somogy éditions d'art, 2012), pp. 409-410, 413n21, fig. 118. Coleman, Joyce. "Memory and the Illuminated Pedagogy of the Propriétés des Choses." Nottingham Medieval Studies 56 (2012), p. 135. Students examine a medieval manuscript on astronomy and create their own books based on modern discoveries in astronomy.